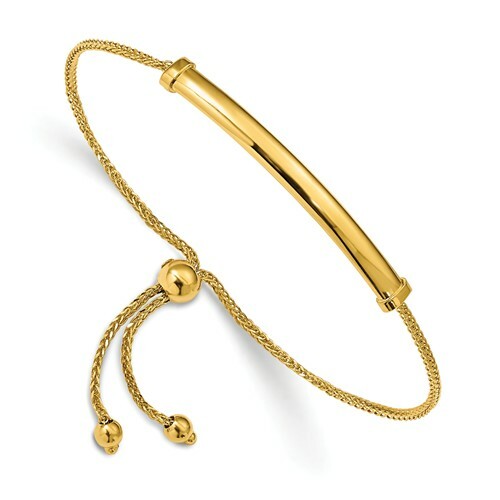 Italian 14k yellow gold adjustable bar bracelet has a draw string and bead clasp. Bar width: 4mm. One size fits most women. Weight: 3.3 grams. Made in Italy. Lifetime guarantee.